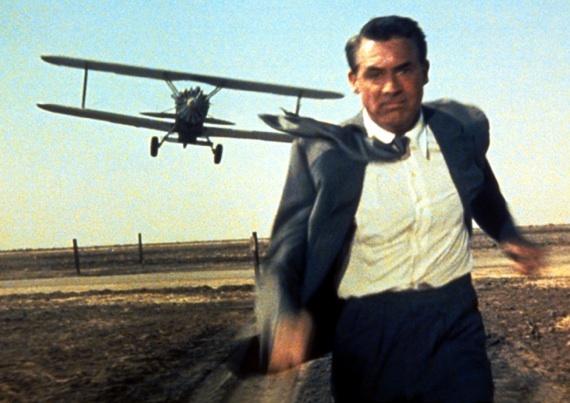 Cary Grant “North by Northwest” DVD Giveaway! 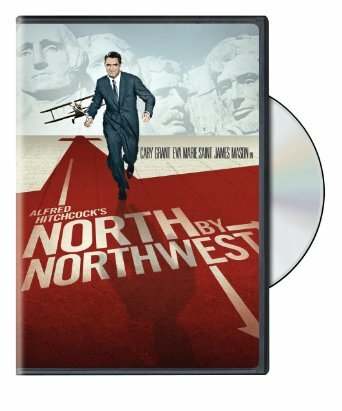 In order to qualify to win a copy of ”North by Northwest” on DVD, you must complete the following task by Saturday, January 17 at 7PM EST (i.e. any time between now and January 17 at 7PM EST). The winner will be selected via random drawing and announced via Twitter on Sunday January 18 around 7PM EST. Who is your favorite Cary Grant leading lady and why? This entry was posted in Contests & Giveaways, Posts by Annmarie Gatti and tagged Cary Grant DVD Giveaway, north by northwest. Bookmark the permalink. My fave. Cary Grant leading lady is definitely Katharine Hepburn. They both were hysterical in “Bringing Up Baby” and “The Philadelphia Story” Loved how they played off each other – had perfect comedic chemistry together. It’s hard to choose just one leading lady because I think he had great chemistry with just about every actress who starred alongside with him (and if he didn’t, then he did an excellent job pretending). If I had to choose though, I would say Audrey Hepburn. Even though they only did Charade together and there was a significant age difference between them, I thought it was apparent that they enjoyed working with each other. They have a good banter between them in this movie. Audrey Hepburn is one of my favorite actresses because not only was she a film and fashion icon, but also a humanitarian. And she’s one of the few actresses from that era who didn’t really have a scandalous personal life so she was also a classy woman of her time. Cary Grant is also an iconic actor in his own right and he is one of my favorite classic film actors. Irene Dunne. I love their chemistry in the screwball comedies plus it looked like they were having a ball making them. On the other hand, the ups and downs of their life in Penny Seranade is so believable and almost painful to watch. An often overlooked leading lady is Deborah Kerr.Their 3 movies together might not have been his best, but they had wonderful on-screen chemistry and banter in ‘An Affair to Remember’ and they look natural and believable together ‘In Dream Wife’ or ‘The Grass is Greener’. My favorite Cary Grant leading lady is for sure Katharine Hepburn…. i love that voice and the acting style and her no taking crap attitude too. I definitely love the chemistry between Grant and Deborah Kerr in An Affair to Remember! My favorite Cary Grant leading lady is Rosalind Russell in the film His Girl Friday. I love their undeniable chemistry and their brilliant repartee. Katherine Hepburn. Brining Up Baby is a serious favorite of mine and always lightens my mood. Grace Kelly. I love the banter between them in To Catch A Thief. It’s one of my favorite movies. Rosalind Russell from His Girl Friday for the mile-a-minute verbal sparring. Loved Katherine Hepburn in the Philadelphia Story.. she is simply a classic lady! I would also have to say Grace Kelly in An Affair To Remember! That is one of my favorite older movies and I loved them two together in it. I LOVED Cary & Mae West together they had visual sparks. I really liked Cary with Ingrid Bergman, Notorious is WONDERFUL!!! Irene Dunne & Cary are fantastic together. I loved him with Katherine Hepburn and the with Myrna Loy in Mr. Blanding’s Builds His Dream house, but I have to say that my favorite is Loretta Young from the Bishop’s Wife. Every time I think of the ice skating scene, I just smile.